The maintenance and repair manual for ZIL-150. Description of the device and instruction manual ZIL-130, ZIL-131 and BTR-60P. 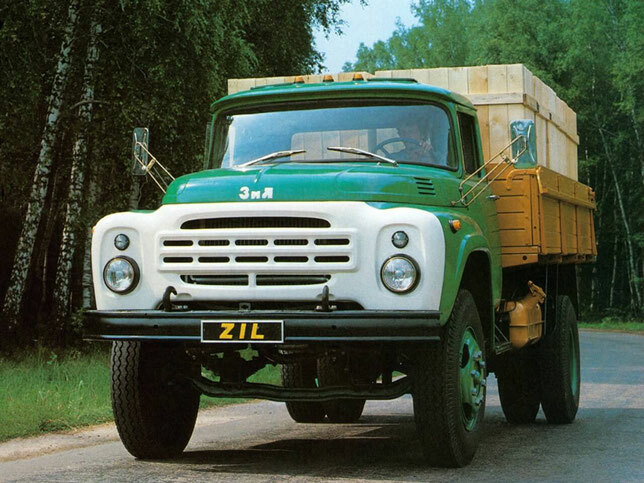 Description of the device and maintenance manual for ZIL-130 and ZIL-138 trucks. Maintenance and repair manual for ZIL-133 and its modifications. The manual for operation, maintenance and repair of ZIL-130, ZIL-131 and ZIL-431410 vehicles and their modifications with petrol and diesel engines. ZIL-130 Trucks. Practical guidance to the driver. ZIL-130. Manual on the army repair. The car was equipped with an 8-cylinder carburetor four-stroke V-shaped top-valve engine ZIL-130 with a capacity of 150 liters. from. at 3200 rpm (with a stop), a maximum torque of 41 kGm at 1800 rpm, a compression ratio of 6.5 and a working volume of 5969 cm³. The ZIL-130 was equipped with a power steering synchronized with a 5-speed transmission, a three-seater cabin with a windscreen washer. Some cars were equipped with a pre-engine heater. Subsequently, transistor ignition, an alternator, a modified instrument panel were introduced. Later, the modified design of the joints of the cardan gear and other innovations were applied. The cabs of the early cars had two ventilation doors in the roof of the cabin and the hatch of the air duct in the left side of the cab above the clutch pedal. Then this hatch was removed. In the seventies the left ventilation hatch was abolished first, and then the right one. Before 1970, the side cars had a side height of 685 mm, later the height of the sides was reduced to 575 mm.